A successful County Durham-headquartered fitness business is going from strength to strength after opening its latest gym on Teesside. OneGym has added a 12,000 sq ft fitness facility on the border on Ingleby Barwick and Thornaby to its existing successful branches in Bishop Auckland, Newton Aycliffe and Redcar. Brothers Paul and David Pearson set up OneGym in 2012 to offer users access to all the latest fitness equipment and classes without costly add-ons like swimming pools that they don’t necessarily want to use. 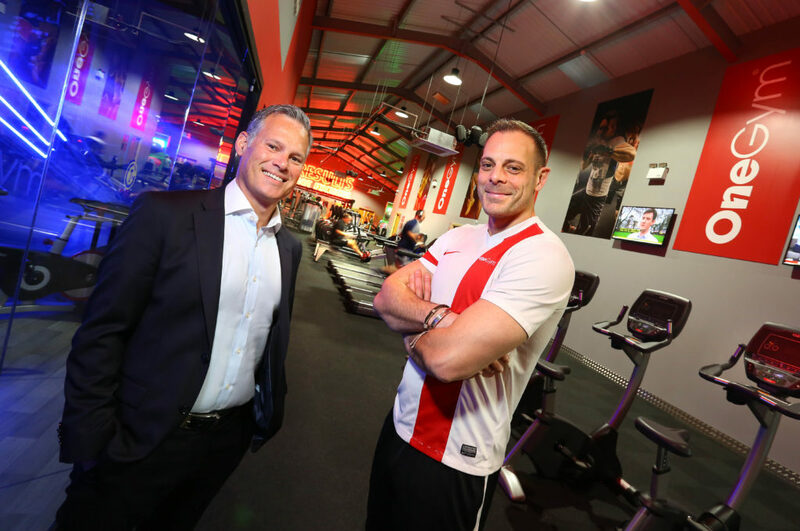 Each of its previous gym openings have been funded through investments from the Finance For Business North East Growth Fund, which is administered by regional fund management firm NEL Fund Managers, as well as with capital from NatWest Bank and the firm’s management team. And NEL has once again backed OneGym’s plans, with a further £250,000 Growth Fund investment enabling the new Teesside Estate facility, which includes a range of state-of-the-art fitness equipment, two studios which host over 40 classes every week, dedicated space for spinning classes and changing room saunas, to open. Six new full-time jobs have been created in the new branch, taking the total number of people employed by OneGym to 22, and a further 16 freelance fitness instructors take a range of classes across the company’s sites. Extra space is currently being added to the Bishop Auckland, Newton Aycliffe and Redcar gyms to ensure there is enough room and equipment to cope with increasing customer demand. The OneGym management team is now looking at opening another gym elsewhere on Teesside, as well as a further facility in South Durham. Managing director Paul Pearson says: “We’ve been looking at increasing our Teesside presence for some time, but wanted to make sure we found exactly the right site to suit our requirements before moving in, which we think we now have. “We’ve kitted out the new gym with the types of equipment and facilities that we know our members want, and have designed it to ensure they know they will be able to do the workouts they want at the times they want to do them. “All the OneGyms are performing very well, and we’re now scoping out which other North East towns might be suitable as the locations for our next gyms. Jonathan Luke, portfolio manager at NEL Fund Managers, adds: “OneGym is an excellent example of how North East companies can make progressive use of investment capital to support long-term development plans. For more information about NEL’s investment criteria, visit www.nel.co.uk or contact the investment team on 0845 111 1850.